The idea of stock photography is that clients look for an image they need and pay a licence fee to use it. It’s a way for photographers to reach a large commercial audience of publishers, advertising agencies and others without having to do any marketing and sales work themselves. 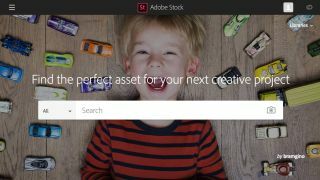 Adobe Stock is Adobe’s own image library, and is integrated into the company’s Creative Cloud applications. It gives clients direct access to a relatively low-cost source of images based on monthly subscription packages. But while low-cost images are great for customers, it means photographers have to submit a whole lot of work to make any serious amounts of money. So although the Adobe Stock registration process is pretty painless and its requirements are not too tough (watch out for brand names or logos in your images, though), for many photographers the financial rewards might be insufficient to make the effort worthwhile. This explains Adobe’s latest efforts to incentivise Adobe Stock for contributors. To qualify for a free one-year Photography Plan (worth $120/£120), you must already be an Adobe Stock contributor and either have had 300 or more photographs accepted, or made $500/£375 or more from sales. There are a few terms and conditions. Only the first 20,000 Adobe Stock Contributors to meet these targets will qualify, and the qualifying period is January 1 to December 31 2018. If you contribute 300+ videos, the prize is even greater, as the first 2,000 qualifying contributors get a free one year All Apps Creative Cloud redemption code worth £600/$600. Don’t bother spamming Adobe with content between now and December 31st because contributors must hit at least a 50% acceptance rate to qualify. Contributors must be at least 18 years old and Premium, 3D, and template assets are excluded. Adobe has published a Creative Cloud Giveaway FAQ for those who would like more information. The good news is that if you’ve already achieved these numbers during the qualifying period you don’t have to do a thing, because you’ll get your complimentary 1 year redemption code automatically.